Here at Miller’s Home Improvement, we care about the health of your roofing system. Whether you own a house or manage a physical business, we’ll be here to help meet your roofing needs. We provide hail damage insurance Michigan services for homeowners whose roofs have been damaged by hail. At some point, you’ll need help with insurance claims – specifically hail damage. 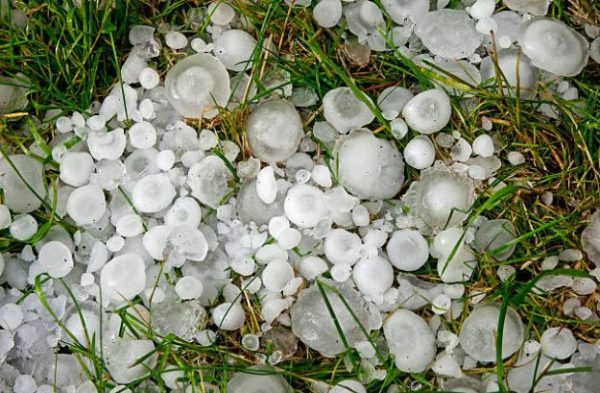 Michigan is no stranger to hail storms. Most of the time, people assume that their roofs are damage-free because they don’t see obvious dents on the roof. When you suspect any of these signs, call a roofing contractor to conduct a complete inspection. Miller’s Home Improvement specializes in hail damage roof insurance. Our hail damage insurance Michigan service ensures that you get all the professional assistance you need to file your claim. Right after the storm stops, call us to look at your roof from the ground up to confirm the damage. Document pieces of evidence of hail damage to your roof. Give you a detailed estimate of the damage. Once you’ve contacted your insurance provider, we meet up with the insurance adjuster. We’ll discuss our findings with the adjuster. We point out damages that the insurance adjuster doesn’t see so that everything gets covered. If your insurance provider approves the claim, we’ll start with the necessary repairs or replacement. Call the insurance company to report the damage as soon as possible. Review your insurance policy to check whether you’re covered. Contact a roofing contractor to help you. You are entitled to choose your own contractor – don’t get pressured into using the insurance company’s own contractor. Never delay intervention. Again, the absence of leaks doesn’t mean your roof is completely safe. Finding a qualified roofing contractor is an essential step in filing a hail damage roof insurance. This is why we’re here in times of storm damage. Our goal is to help you enjoy a roof that lasts through quality and timely roof repairs, roof recovery services, and more. We’ve built a solid presence in Michigan. Our clients continue to refer us and do business with us because of our hard work. As a hail damage insurance Michigan contractor, we understand the unique weather challenges in your area. We serve Detroit, Macomb, Warren, and more. We know how to navigate the complex steps of hail damage roof insurance claims. Make us your resource. Not all contractors are that experienced when it comes to detecting hail damage in Michigan. We’re keen and our documentation allows us to make an argument. 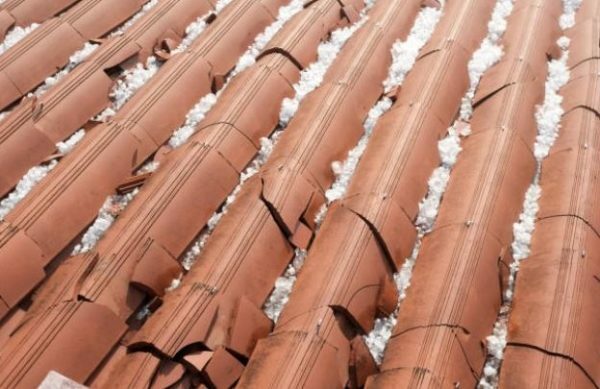 When your place is affected by hail, don’t overlook the possibility of roofing damage. Ignorance leads to more serious issues. Filing a claim should be a breeze now that you have a roofing contractor that has the expertise to help. Need our assistance with your hail damage insurance claim? Call Miller’s Home Improvement now at 248-242-0820.